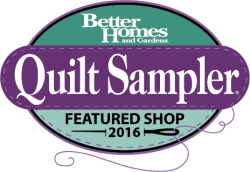 Today is the first day of the 2016 Row by Row "Home Sweet Home"
If you haven't heard of the Row by Row Experience it is a nationwide shop hop where you travel around from quilt shop to quilt shop collecting some really great row quilt patterns. Each shop has designed a row based on the Home Sweet Home theme and what's really great is you can get one free pattern at each shop you visit. Here is our row this year, Home is with ME & My Sewing Machine! 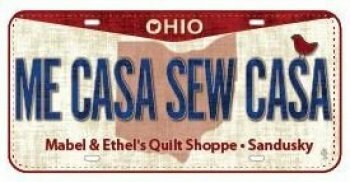 We have the fabric license plates, too! Kits are available which include the laser cut/pre-fused sewing machine silhouette. If you want additional sewing machine silhouettes those are available as well. Remember - you can be a winner, too! will win a fabric bundle of 25 Fat Quarters! 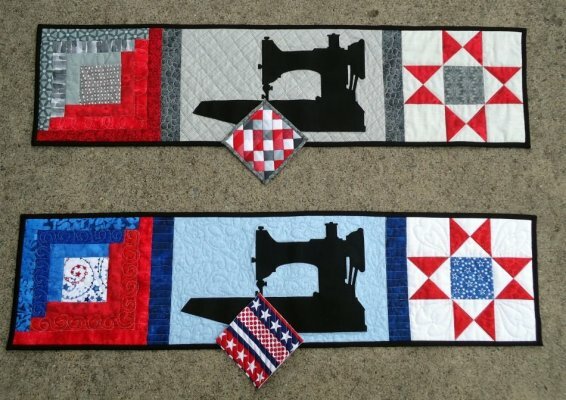 If you bring your finished quilt to us and it includes our row, you will also win a gift certificate to M&E! So get rowing and a sewing everyone! 1) Visit 8 participating shops to collect their row pattern. 2) Piece them together into a quilt top - you can use any design you desire. Be creative! 3) Have your quilt quilted, bound, and attach a label! Label should include the names of all the shops included in your quilt. 4) Be the first with a finished quilt and turn it in at any participating shop. There is one winner per shop, so you do have several opportunities to win! If you are going to be purchasing 10 or more kits, please give us a call ahead 24-48 hours before your visit so we can make sure we have them ready for you. Thank you! If you want to read more about the Row by Row Experience, check out their website HERE. If you can't make it to our shop and you really love our row and/or license plate, don't worry. You can pre-order the kits and plates to be shipped on November 1st! Click the Row by Row Logo below to check out our website to reserve your kit today.